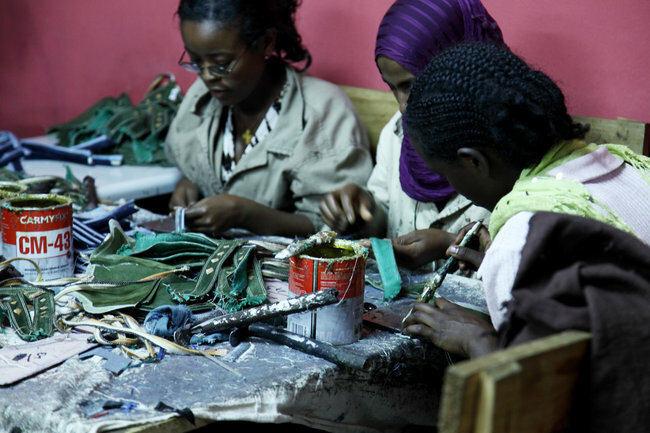 Bethlehem Tilahun, founder of SoleRebels, in her factory in Addis Ababa, Ethiopia, in June. Now her company employs roughly 100 workers, and it recently opened its flagship storein central Addis Ababa, where SoleRebels’ Ethiopian-branded fusion of Abyssinian and Western taste is on display. With each pair of shoes, she said, she seeks to change people’s minds about Africa. In South Africa, Sibongile Sambo has been a pioneer for women in aviation. She leads an exclusive charter-aircraft company. In Kenya, Ory Okello, 23, helped found Ushahidi , a Web 2.0 crowdsourcing software initiative that changed the game in real-time tracking of emergency events via cyberspace. It was originally geared toward political violence after Kenya’s bloody presidential election in 2008, and now is used by Google.